CARFAX 1-Owner, LOW MILES - 16,921! EPA 40 MPG Hwy/30 MPG City! iPod/MP3 Input, Satellite Radio, Onboard Communications System, Brake Actuated Limited Slip Differential, Smart Device Integration, Alloy Wheels, Back-Up Camera READ MORE! TRANSMISSION: 6-SPEED POWERSHIFT AUTOMATIC, CHARCOAL BLACK, CLOTH FRONT BUCKET SEATS 6-way manual driver (up/down, fore/aft, recline), 4-way manual passenger (fore/aft, recline) and removable adjustable head restraints (2-way). 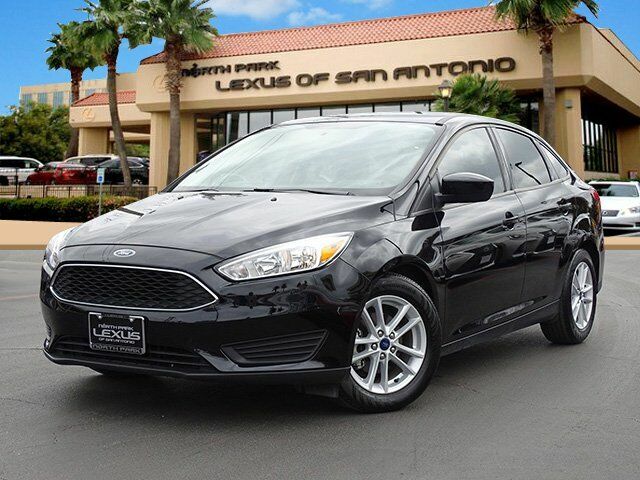 Ford SE with Shadow Black exterior and Charcoal Black interior features a 3 Cylinder Engine with 123 HP at 6000 RPM*. Brake Assist, 4-Wheel ABS, Front Disc/Rear Drum Brakes, Tire Pressure Monitoring System Great Gas Mileage: 40 MPG Hwy. Edmunds.com explains "Ford has tuned the suspension masterfully, imbuing even this economy-minded model with a playful, light-on-its-feet character. ".